How to become a Master of the silk flower art? Welcome to the Silk Flower Artist's new project Five Silk Leaves. This is a step-by-step video tutorial for beginners in silk flower art. Your favourite five silk leaves in one video tutorial. 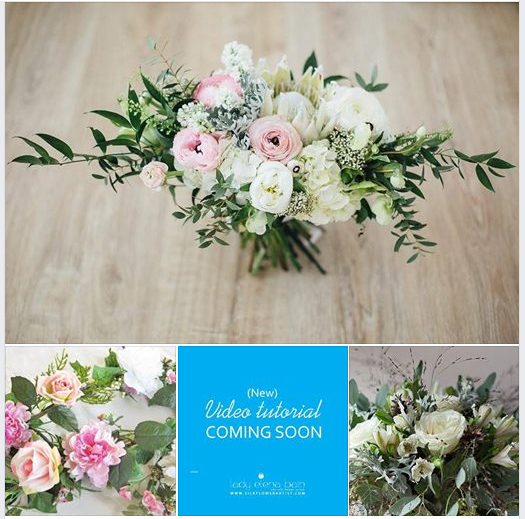 If you are just starting your journey in flower making – this is your starting point ! Learning how to make silk leaves helps you master the “skill” and boost your confidence in silk flower art. We've made this video tutorial in a simple way – you will be amazed how it is easy and fun to make silk flowers and if you have any questions - you can simply send us an email and receive a detailed answer. 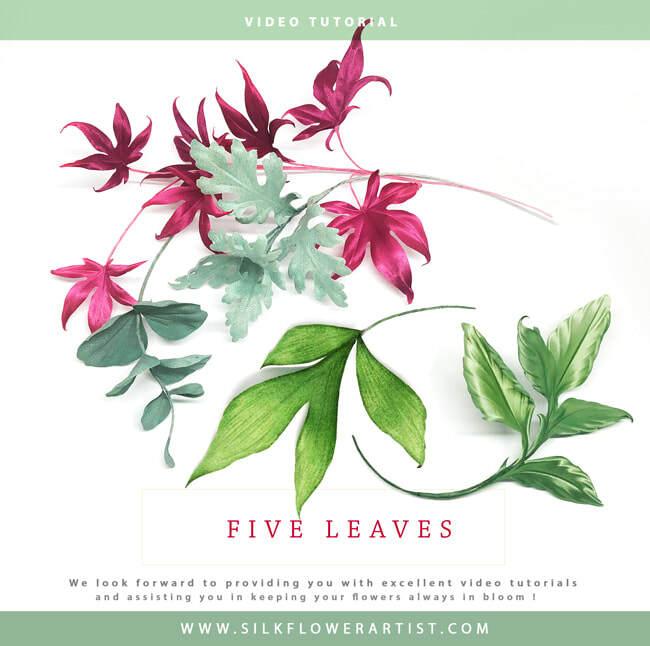 If you would like to become a master of the silk flower art – get your copy of the “Five Silk Leaves” video tutorial and start creating within minutes! Get inspired. Learn new skill. Make a flower. March Inspiration - New ! Do you think you can guess the idea of our next video tutorial ? Write in the comments below what you think we are going to come up with and if you guess correct you will receive FREE a copy of the upcoming video tutorial. Let's talk about Professional silk for flower making. The beauty of professional starching is that the silk stiffen smoothly and consistently, with no lumps with the same thickness all along. The stiffening mixture is different for different types of silk. The final result is brilliant - Professional silk looks lush, has a wonderful feel. Fantastically blends dyes, has excellent shape memory. In my personal experience I can say that working with Professional flower making silk gives you 90% of success and satisfaction of the final result - and that's the key. 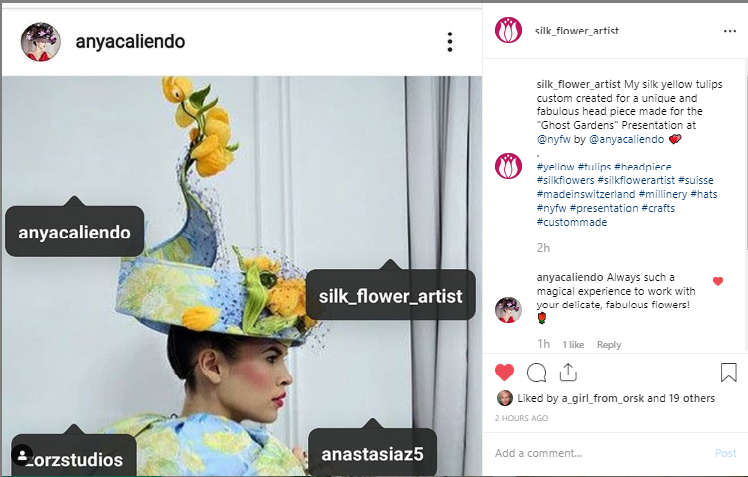 If you feel satisfied and happy with your creation - you get confidence for your next silk flower projects and that's how you become a master of the art. Do you agree? Let me know if you have questions regarding Professional silk - I'll be happy to help you to make a right choice. Professional silk or PVA option? This is a frequently asked question. So, let's make it clear. - Do I have to buy professional silk when I can simply starch silk I buy locally with PVA solution? 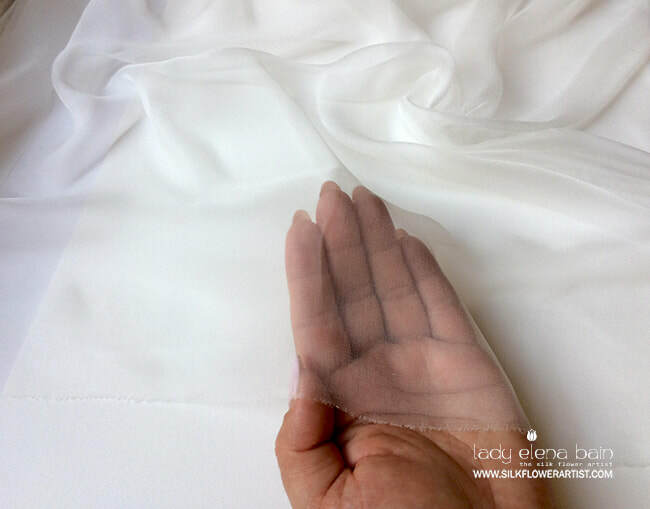 Starching silk with PVA solution is a good option, better than starching silk with gelatin. and when humidity is high it loses it's shape. Starching with the PVA solution - becomes now more popular. 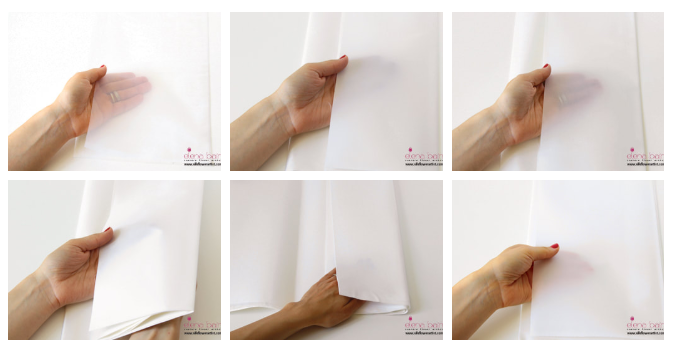 Below you will find a short video on how to starch silk with PVA solution. However, I suggest you first to buy professionally starched silk to compare the quality and to see how professional silk look and feel like - that you can bring your job of starching silk with PVA solution to perfection. Voila! We have a Winner of the Vanilla Peony Promotion for our Subscribers ! It is JAYNE CONEY ! Here is her FB page. HERE ​is the new and shiny video tutorial Vanilla Peony ! 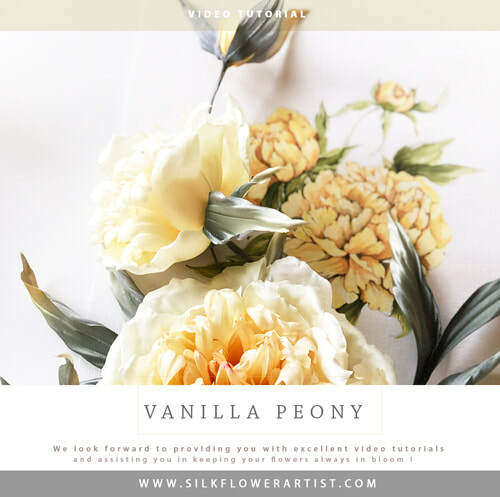 If you are a creative person and would like to make your own silk Vanilla Peony – get your copy of the tutorial and start creating within minutes!